… Will You Get the Brain Rush? There’s a revolution taking place throughout education… a revolution sparked by the explosion of new knowledge about the human brain and our practical, urgent need to gain cutting edge, paradigm-rocking teaching survival skills for this new century. Now is your chance to be part of a rare event that brings together the worlds top experts on learning, the human brain, educational innovation, and you get to be there! That’s right. At Jensen Learning, we were the originators of the Learning Brain EXPO, and to our delight, other Brain EXPOs have popped up around the world. Now the first Hong Kong Mind/Brain EXPO is coming up we are excited to be a part of it! Can You Find Your Area of Interest Below? Our speaker list is highlighted by the always-popular maverick psychiatrist Daniel Amen. Amen is the author of many best-sellers, and a true pioneer in brain imaging. His sessions sell out every single time. Join the EXPO to find out his latest research on maximizing your brain health. This is critical, cutting-edge information for you AND your loved ones! Learn how to revolutionize your teaching and learning – and make it a place of learning, discovery, collaboration, excitement, and positive transformation, with brain-compatible pioneer, the original and legendary Eric Jensen. He’s written 26 books and he will show how you turn your classroom or school into a brain-compatible event that excites students every day. You’ll get a chance to hear the legendary Art Costa, founder of the Thinking Skills movement and Cognitive Coaching movement. He is a legend and you’ll get a rare chance to hear him before it’s too late. SKYROCKET self-confidence as they develop greater expertise with brain-compatible approaches. Who else will be there? This will be the biggest learning party in Southeast Asia. It is… February 2-5, 2012 in Hong Kong. By the way – I know you’re already on the cutting edge – after all, you’re on my list! But I still need your help! Could you help me spread the word? Please – share your enthusiasm with others. Show this material with your peers, your principal, your colleagues, school board members – in short, with anyone and everyone who could also benefit from this once-in-a-lifetime learning, networking, and personal growth opportunity. Give this to your colleagues and supervisor so that every teacher, principal, and staff member can find out about this amazing event. 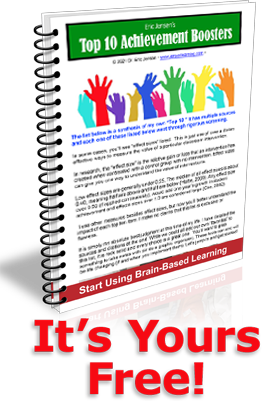 Just think – the more your peers are exposed to this brave new world of brain-compatible learning, the greater your opportunities for creating profound, sustainable, positive change throughout your particular universe of influence. Plus, when you bring colleagues with you to the conference, you’ve created a built-in support system when you go home. So, spread the word. You’ll be doing your colleagues – and the young people whose lives they impact – a great service. And to help you apply what you’ve learned, stay for the last afternoon of the last day. Why? You’ll come away with new lesson plans and a blueprint for weaving deep learning strategies into your teaching. Gain confidence and be inspired by knowing how to make the most of your new strategies.